We have now reached the last chance square on the board. Our game has a special card that you have just picked up. 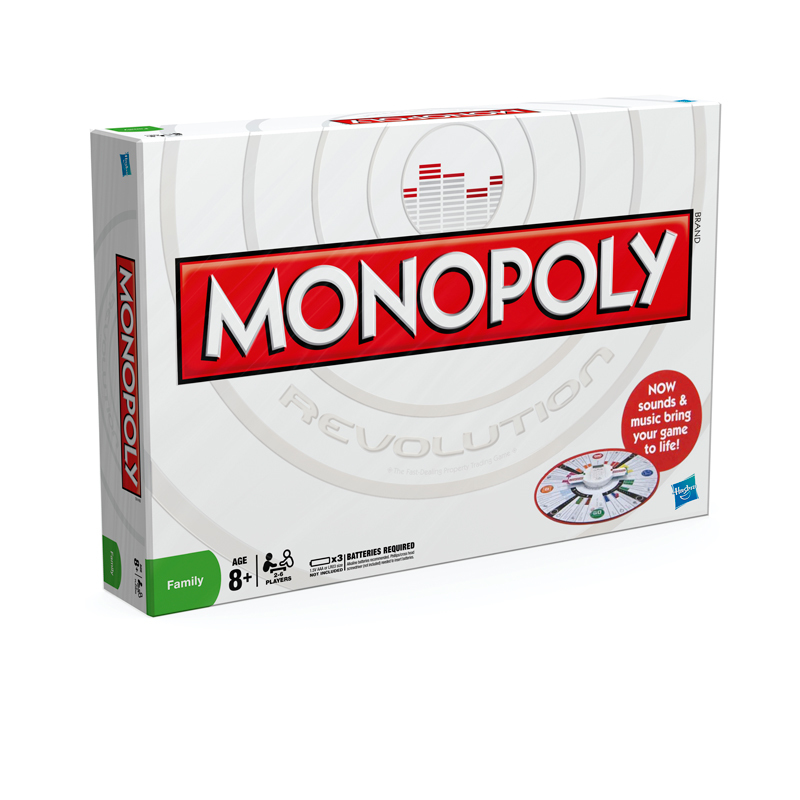 A chance to win Monopoly Revolution. MONOPOLY for a new generation! MONOPOLY: Revolution Edition has sound effects and fun song clips from the past five decades, a round game board and an electronic unit that acts as an electronic banker. Celebrating the 75th anniversary of MONOPOLY,this contemporary version features updated “here and now” pricing so when you pass GO you receive a whopping £2 million! All Chance and Community Chest cards are now held in the electronic unit and each has a song or sound effect to really bring the game experience to life! Q: How many squares are there on the monopoly board? You have until the end of the game is played. ie until we reach Mayfair. At the end of the day, of the Mayfair post, all correct entries will go into the red hat (previous competitors will be familiar with the red hat). The winner will be announced the following day. Mo, it has been so much fun to go around London with you Monopoly board. I always liked reaching 'Chance' and 'Community Chest' - great fun! I've really enjoyed this series of photographs. Mo, this was a very enjoyable series. It took a lot of thought and time for you to put it together. On my old Monopoly board (c. early 80s) which I have just dragged out of the cupboard, there are 40 playing spaces. Of these 40 playing spaces, 4 are squares one in each corner (Free Parking, Go to Jail, Go, and Just visiting). The other 36 playing spaces are rectangles. I am not sure whether you meant squares, or oblongs, but I think I have it covered. SUch a good concept for a series, Mo. OK so that was a straight copy from wikipedia!! So the answer could be 4 or 40. I'm going for 4. I have so loved this series, as you must know by now, wandering around London keeps me enthralled. Reading 'On Brick Lane' by Rachel Lichtenstein at the moment. Enjoyed the trip around the Monopoly board. My guess is four. At the place I worked before I retired there was a poster in the men's toilets showing a series of oblongs which started off straw-coloured and gradually darkened. Underneath was a message to the effect that you should check the colour of your urine against the 'squares' on the chart, and if it tended towards the darker shades you were, to a greater or lesser degree, dehydrated. I often toyed with the idea of writing my own message saying that if you thought the oblongs on the chart were squares you should see an optician. 9 squares.. (that includes the boarder that goes around the whole board). i enjoyed this series. i keep track of it on google reader. Love this photo - keep driving past the cinquecento and wanting to stop to take a pic. Around the edge there are FORTY squares for properties, utilities, stations and corners. Although all have rectangle lids and strictly speaking are not actually squares. And One large square in the centre with a border square around whole board. Strictly speaking there are TWO squares on the get out of jail square also as extras to the corner square they sit on. So in theory there is a TOTAL of 44 squares actually ON the board but 40 around the edge [with rectangle lids]! Chance and community chest are rectangles not squares! Have adored your series of Monopoly photos! Forty - unless its a trick question! Thanks for the fabulous idea. I dug out my old monopoly board and decided to track down the Cape Town streets too. Most imaginative and enjoyable - thanks Mo!